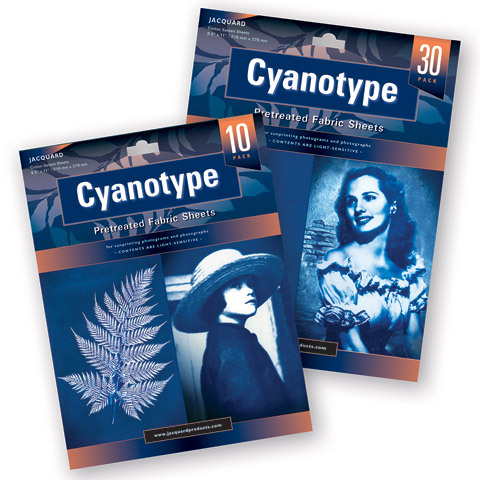 These pre-treated Cyanotype Fabrics make cyanotype printing easier than ever before. Simply expose the fabric to sunlight or UV (3-15 minutes, depending on conditions), placing objects or a film negative on top to create an image. After exposure, prints are processed in a tray of cool water and allowed to air dry.